Who's the prettiest lady on the Seven Seas? Apparently it's Alvida and she's coming to play. Replacing the Buggy's Fortnight Island is the magnificent Queen Alvida. 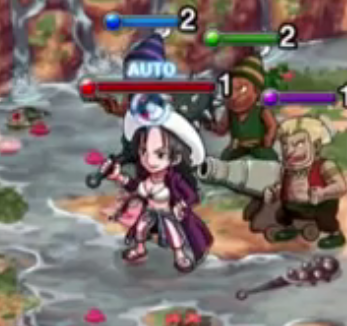 She provides BOTH Chopper and Zoro Skill books and one of the "tougher" Fortnight Islands you will have to deal with. If you didn't already know - Alvida is droppable from all Stages of Alvida's Romance (The harder the stage, the higher the Drop Rate). She is a Top-Tier Unit that can reduce damage by 80% for 1-Turn on a relatively short cooldown! NOTE: Only "Fat Alvida" will drop in the Fortnight Island - Fusing "Fat Alvida" to "Skinny Alvida" will NOT increase Skill Level. 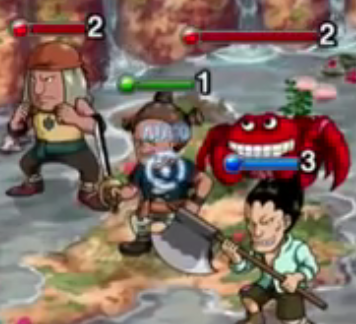 For those planning on the Chopper + Mr. 2 Combination, Chopper's Skillbooks will prove invaluable to help pump out the food faster. Although with the addition of Garp, Chopper is more or less obsolete. 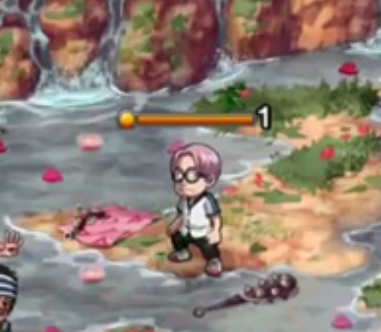 The mini-boss is a farmable Coby. Not a very useful character, but you do need him for a few missions so hold onto him until you complete them! As usual - due to us not saving pictures from the 15-Stamina version, we'll be taking placeholder images and describing the level itself. Most should sounds fairly familiar!
! There is a hidden mini-boss on Elite who can appear with a chance on Stage 1-6 and dealing 3200 damage, then has a 2 turn cooldown ! Lots of you are probably already sick of good ol' Coby but he's back and wanting to join your crew haha!! He's 10x weaker than Cabaji and nobody should have much problems with him... Unless you give him a handicap. Just like Buggy... You know the drill. 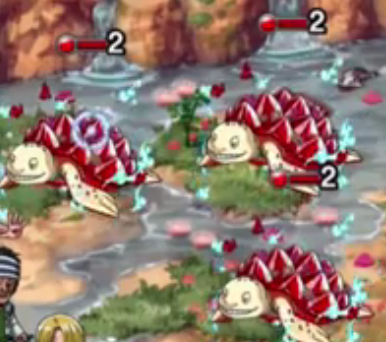 3 Teenage Red Turtles or 5 Baby Red Turtles. And Yes - You can meet the "Skull" Purple Crossbow man here. She will have higher Defence than the regular Boss so you may not want to bring Technique Units to the party.